From Rain to Shine Turns ONE! Thank you to all who stop by + read my little positive space! I have some exciting things planned over the next few months that I can’t wait to share. Happy Wednesday to all, and thanks for coming on this awesome journey with me! Hi guys! Super excited to announce that I will be speaking at Alt Summit this SUMMER! Going in January was one of the best experiences, and I am just over the moon excited to be going back in June. Some of the speakers were released yesterday, and boy are there some awesome and talented folks on there! I’ll be sharing more deets as they come, but for now, let me know if you’re going to Alt in June! Can’t wait to see ya there!! As a designer, I am always am looking for new ways to change up my workspace and make it more inspiring. Since I spend so much time in front of the computer, it need to feel calm, yet motivated, when I am in my element. Here are some office/desk spaces I’ve been loving recently. Nothing like white walls and interesting furniture with pops of color to keep me inspired! I enjoy finding inspiration on different sites across the internet. 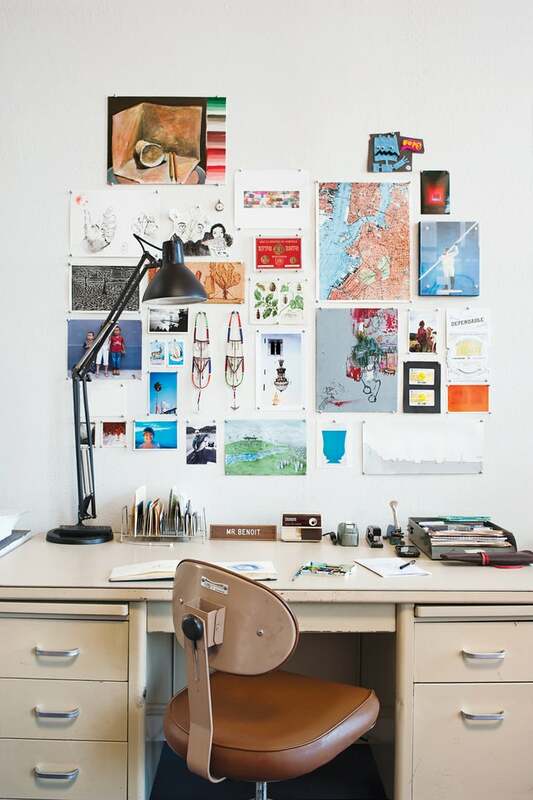 One site that has a great cross-section of images is ffffound.com. You never know what you’re going to get (SERIOUSLY). Enjoy these images I found that inspired me in different ways. This is me! I was born and raised in Seattle, Washington, and moved to California in for college. I graduated with a BFA in Graphic Design, and knew immediately I wanted to move to Los Angeles. After working in the graphic design world for two years now, I decided to start this blog as another creative outlet. I love living in California, especially in Los Angeles. There is so much to do, see and explore, and design is everywhere. I’m always keeping my eye out for beautiful packaging, awesome logos, happy color combinations, talented local artists and a delicious gluten free cupcake. This blog also documents my adventures as a twenty-something discovering a new city with so much to offer. Thanks for stopping by and reading! A huge thank you to my friend Beth for helping take these photos of me, and driving around town to find the perfect spot! If you have any questions, comments, suggestions, or just want to say HI!, feel free to email me at jessica@fromraintoshine.com. Check out my Instagram and Twitter for more frequent updates and thoughts. Have a great Monday! Last week, I had the privilege to get coffee with Kristi, the brains behind Kristixoxo. What a sweetheart! She has a great sense of style (and manicures), and it was so great to finally meet and talk about all things blogging, Los Angeles and our interests. Turns out, we like many of the same things! We decided to meet up at Intelligentsia in Venice, as it is one of my favorite spots, and Kristi had never been. Our coffee meet-up was definitely a great way to start summer. Special thanks to Kristi’s boyfriend for some of the photos he took!